Huawei new 4G Mobile WiFi hotspots always give great surprise to us. 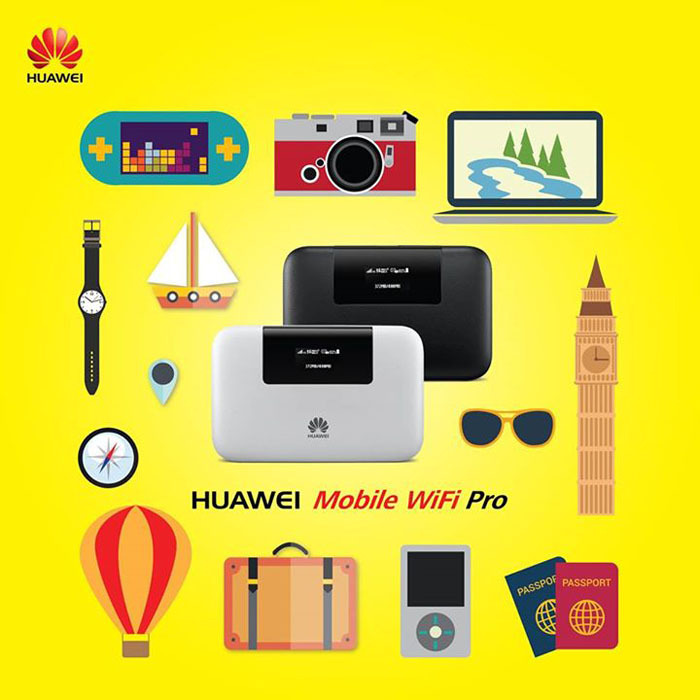 The new 4G pocket router Huawei E5770 Mobile WiFi Pro fills a gap in the extensive range of Huawei router: the unit combines a powerful LTE modem with a RJ-45 LAN port and a strong 5.200 mAh battery. In March 2015, the LTE mobile router was on the occasion of the Mobile World Congress presented in Barcelona, now the device is also available in many countries. With a small display on the front and a WiFi Extender function, the Huawei E5770 could register into existing wireless networks in order to use these as Internet access. 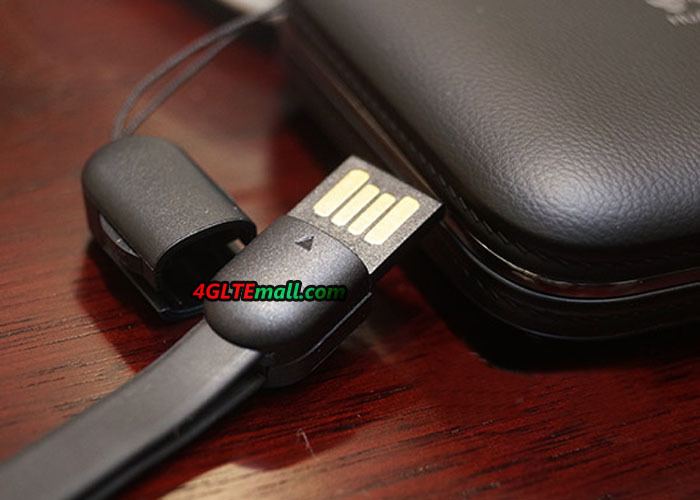 The operation of the Huawei E5770 is very simple. The SIM card must be plugged like an optional memory card under the removable rear panel. There you can find the activated WLAN password, and the address for the Web Interface and the password required for this. 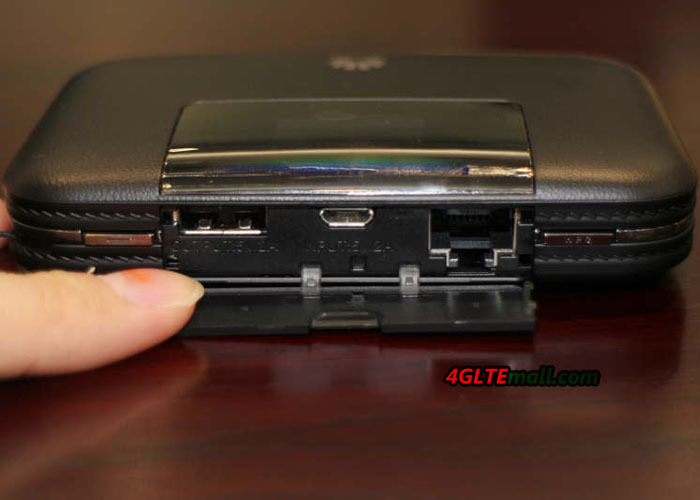 The SIM card is inserted together with the MicroSD card on the back. The operation and configuration via the web interface is quick and easily, both on desktop computers and on Tablet touchscreen. On the start screen, the consumed data volume and online time is displayed, on request you can have a look at detailed statistics or tariff limits deposit. It is also possible to receive and send SMS. Navigate to the tab “Settings”; you can set your machine accurately, about the wireless connection or the RJ45 Ethernet connection. The Huawei E5770 Mobile WiFi Pro offers three ways to access the Internet. First of course there’s the classic access via the mobile network so that up to 150 MBit/s accessible via LTE Cat4. Then you can also use the RJ45 Ethernet port as Internet access, which offers network connection at home, office or hotel. The third way to access the Internet is the so-called Wi-Fi Extender: the Huawei E5770 thus uses an existing wireless network to access internet. All three types of access have worked well and without any problems in the test. Particularly interesting is the WiFi Extender function, because then it is also possible to connect multiple devices to a wireless network. As soon as the wireless network, the Huawei E5770 automatically switches from LTE to Wi-Fi access. Huawei E5770 could support up to 11 devices simultaneously. In LTE network, the Huawei E5770 Mobile WiFi Pro Router provides a good reception and many supported frequency ranges, so that it can also be used abroad in many countries. Huawei E5770 would support LTE Advanced Cat4 and the LTE modem Cat4 could achieve 140Mbit/s in the test. It’s a pity that it can’t support LTE CAT6, also disappointed that Huawei mobile WiFi Pro doesn’t have connections for an external antenna. 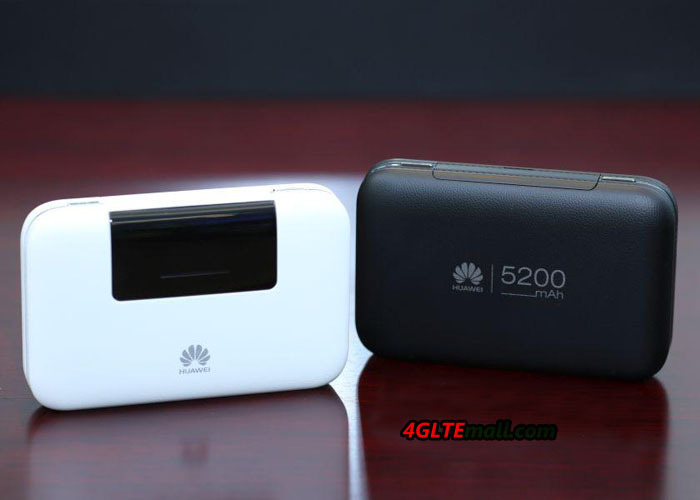 With the amazing 5,200 mAh strong battery, the Huawei E5770 Mobile WiFi may be used up to 20 hours per operating as a mobile LTE hotspot. The full-size USB port allows charging other devices such as smartphones or tablets. Through the output of 5V / 2A, the charging goes very quickly. The battery capacity is proudly advertised. But the battery can’t be removed. Finally, a little word to the display on the front of the Huawei E5770: this is definitely smaller than many other mobile wireless hotspots of Huawei, but it does the job properly and provides all important information such as data usage and battery status clearly. With a short press on the power button, you can see the wireless password in screen. The Huawei E5770 is a good mobile LTE router with two great unique features: it is the first device of its kind with RJ-45 LAN port and simultaneous support for LTE and it is one of the few devices, which simultaneously can also be used as a power bank for charging other devices. Overall, the router can convince definitely, besides the classic functions of the wireless Extender function should be emphasized. But there are three drawbacks: the missing of 5GHz WLAN and connections for an external antenna, and the feature of LTE Cat6 with 300 Mbit/s is not supported. 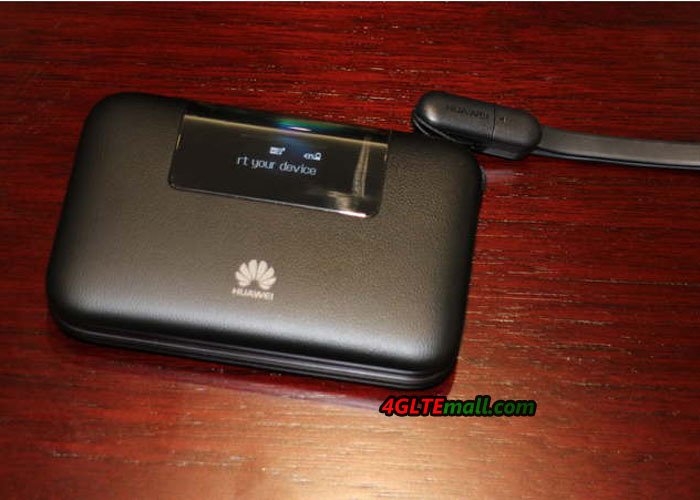 Even though, the Huawei E5770 Mobile WiFi Pro is still a wonderful pocket WiFi router! If you want the LTE cat6, huawei E5786 may help you.